An Old Village Blacksmith that grew up ! - The Iron Forge Fire Blackmithing Forum. 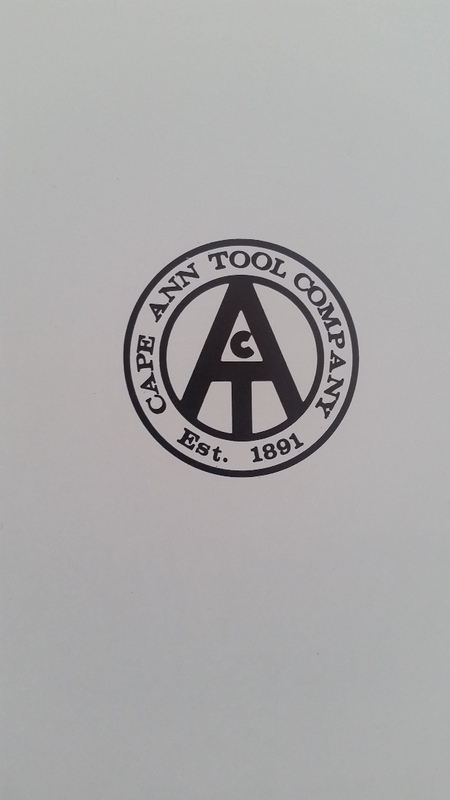 I was digging through some of the boxes that have yet to be unpacked from our move from Boston Area to SoCal, and discovered a book about the Cape Ann Tool Company. It was Established in 1891, that I never knew or at least remembered, so it was in existence for 100 years. The following pictures are copies from eh book, not good but maybe interesting to someone. This is the Logo for the Company, you would receive a Pin every five years you were with the Company, if I remember correctly. None of the pictures are good quality but this one is poor to say the least. It is a Tractor Trail with a Base or Anvil for a 12,000 Board Drop Hammer, any guesses on the weight... 100 Tons ! I know, I knew they were BIG but 100 Tons, wow ! 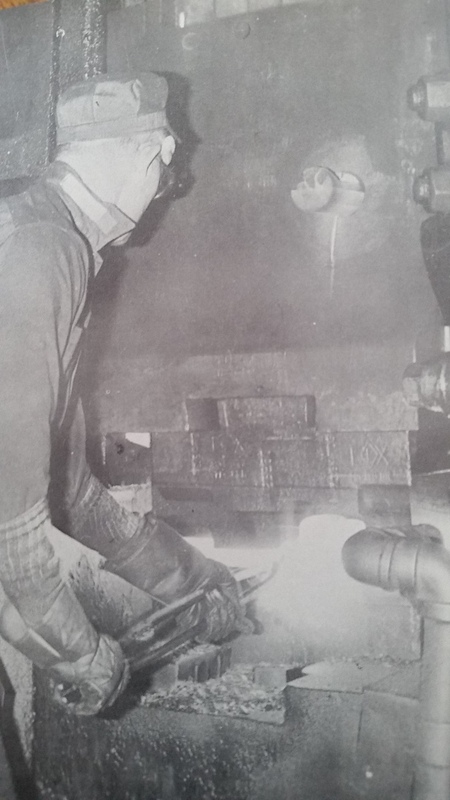 This is a picture of a guy forging on a 3500 lb., German made, Hydraulic Hammer, the Hammer/Ram in this case, was driven with Hydraulics as well as picking it up. It was a hard hammer to get used to, the movement of the hammer was very erratic for me. It would pulse while it was waiting for more hot steel. This picture shows the Dies, there were two halves, and as long as they were aligned the outcome was one piece of steel formed by both halves. The Hammer is a Board Hammer with a 3500 lb Hammer dropped from approximately seven feet. 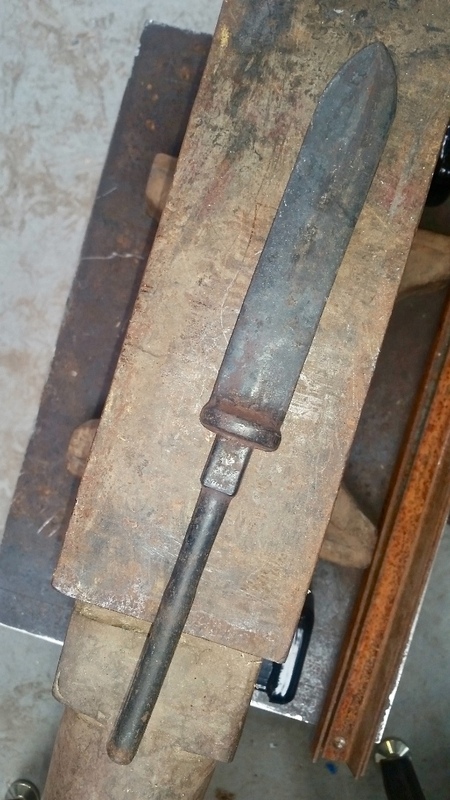 A Board Drop Hammer used 2x4s to lift the Hammer and then a trip lever would release it and allow it to hammer the steel. This one depicts a 4200 lb Hammer, you can see the actual Hammer in front of the guys face, that's 4200 lb of steel, slamming another piece of steel from about eight feet, a lot of noise and a lot of dirt, and a lot of accidents. You can see the the hot steel in the middle of the dies.. This Hammer is a 4200 lb Board Drop Hammer, the larger the Hammer the more 2x4s were used to pick it up. Boards were usually change out everyday, sometimes twice a day ! Thinking on the other Base on the Trailer, 12000 lb Hammer with a 100 ton base or Anvil, this Hammer's Anvil would be around 35 tons, 70,000 lb... ! 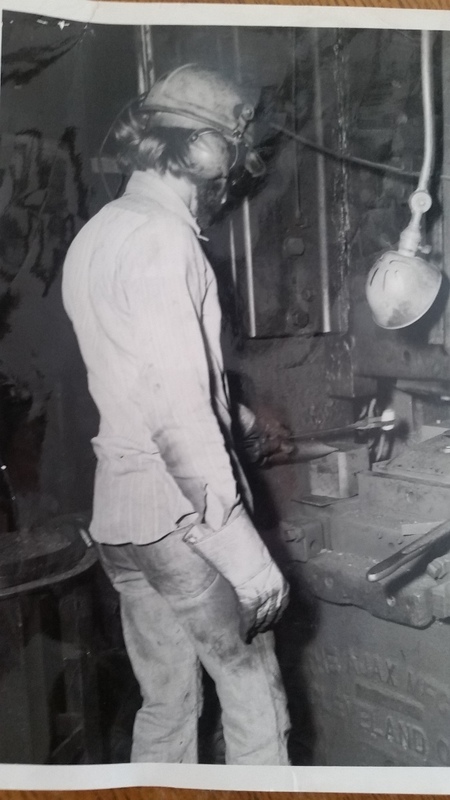 Yours truly, this is me at a Mechanical Forging Press, this thing used mechanical leverage to form smaller pieces of hot steel. I lost a lot of Tongs on this Press before I got the hang of it ! I also got a good Scar on my hand from one of the Hot pieces that hopped into my Glove with the open cuff. Yes it hurt for a while, but I trudged on ! Sorry the pictures are so bad and there aren't more of them but if I find more I will post up. As stated somewhere before, The Cape Ann Tool Company had Board Hammers from 500 lb to 12000 lb (I thought 10,000 lb), and two Hydraulic Hammers one a 2500 lb and one a 3500 lb... and then there was what we all called the Monster, a 10,000 lb Steam Lifted and Driven Hammer, it too pulsed and you had to get the lift right so the Hammer hit with as much force as possible... ! I never worked on it or even wanted to, my largest hammer was a 6500 lb Board Hammer. It shook the ground enough itself and put a chip of steel through my leg, but the 10K Steam Hammer really let people know it was being used, you could hear it hit ten miles away ! And one more thing, when this Shop Started is was a small shop but in the same location, it grew and added as needed. It used a center Drive System and all of the used this drive to lift their Hammers. Later they were converted to electric motors so each hammer had two electric motor on top for pickup. The drive system was remove and cut up for scrap, it would have been interesting to see it working. The Shop still stands, in Rockport, MA, sealed up with Foam to keep all of the metal particulate inside and hopefully the people on the outside safe from contanination. It looks tired and worn out when you go by, a sad testament to days gone by. Thanks for reading, these pictures brought back a few memories. Love seeing those old pics. Yeah, Like old trucks. I can't tell that's a Diamond Rio and autocar but it doesn't matter both are my favorites. Back when engines were too small breaks didn't stop you and loads were overweight. Great pics. What was made there? I made a lot of Valve Bodies and End Plates, there were Valve Bodies made from "Leaded Navel Brass" used in atomic Subs, the shop made the connecting rods for the Plane that Lindbergh flew across the Atlantic in 1927, and there were a lot of AutoCar Front End Parts, Steering Knuckles, Tie Rod Ends, Spring Supports, and smaller Train Truck Wheel, maybe around 24 to 30 inched in diameter. And then there was the Up Setter, that was a bear of a machine... pulled the bars out of your hands if you weren't watching it. We would forge the center piece, I think it might be called the ram, for large house Jack, the part that moved and picked things up. We started on the 2500 lb. Hammer, rough formed it, went to the Up Setter and put the bend in to create the Lift Pad, then back to the 3500 Hammer and finished form the head and upper part of the Ram. 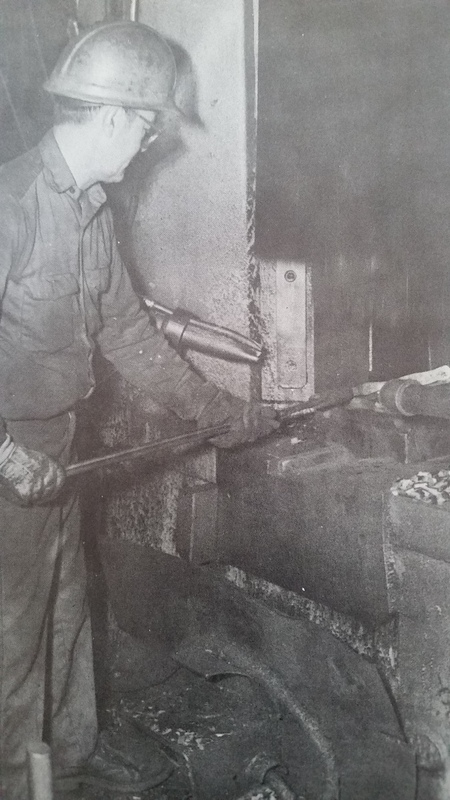 Second Process was to straighten the bar because of length it would bend in the Up Setter, then on to another forging process to forge in the Teeth in the Ram. Not sue what the price was but it took some time to get it to a machinable piece. 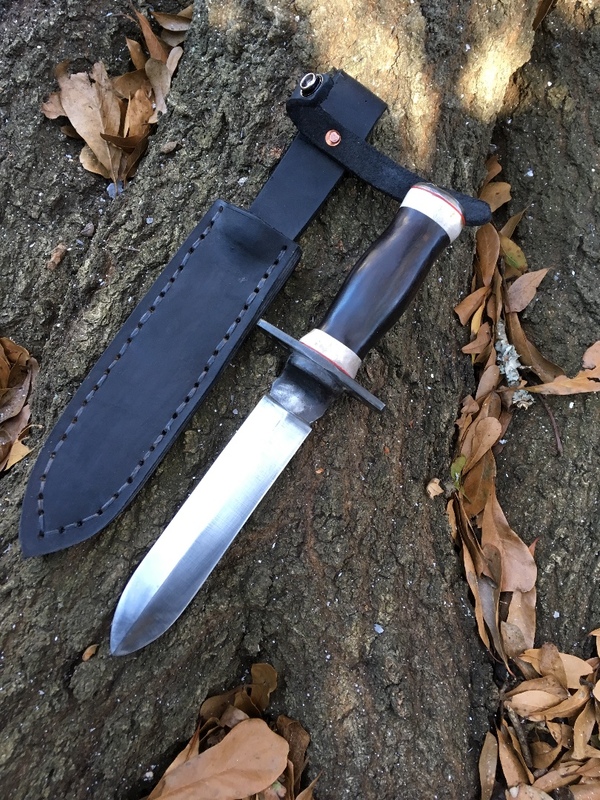 We made Knives for the Navy, check out my Knife that I forged in the early '70s, but had Jim Finish; and one job I remember, I was a newbie, I worked the 500 lb. hammer and made Dead Bolts for Stanley Tools, the square one that slide in place. Rough Forging... and after Jim, at "jimcustomknives", got done with it ! Also remember an order a three member team was on, making Sail Boat, Sail Rope Tie offs, can't remember the company or the name of the item, 316 S/S, I remember the ring the parts made after trimming the excess flashing away. We had three men, one Forging, one trimming the flashing, and one pulling a hot piece to forge, sort of a merry go round. The metals we used, as I remember, Brass; Stainless Steel; Cupronickel, an alloy of Copper and Nickel with some iron or magnesium; Inconel, an alloy contain Nickel Chromium and iron; Hastelloy C-22, nickel-chromium-molybdenum-tungsten alloy with outstanding resistance to pitting; Leaded Bronze and Leaded Brass, Steels of all grades. We had a diverse level of materials forged at that site. I actually loved working there but got into too much trouble with the Head Forman... my Uncle ! Left and went to school to be an Engineer ! 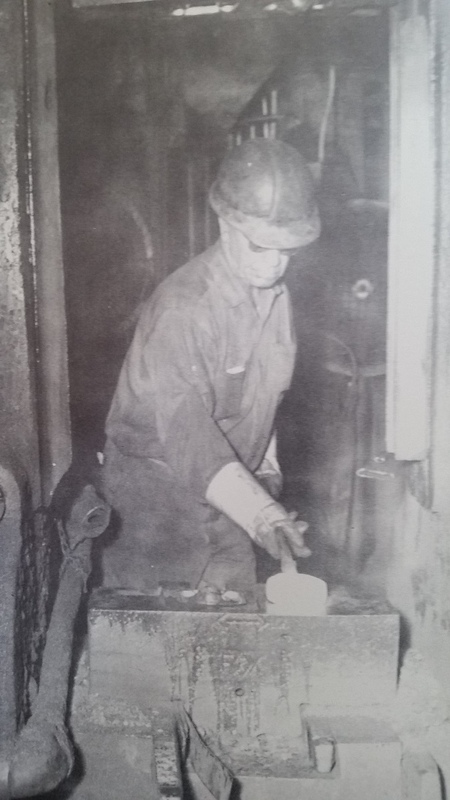 Galt's Glutch Forge - The Tractor-Trailer was an Auto-Car, it belonged to the Shop, they used it to transfer Steel from the bulk-storage site to the shop-storage, 10 miles down the road, and would pickup new hammers when needed or just new bases if cracks occurred. What a great experience! Thanks! Are you still a blacksmith? I am not a Blacksmith, just trying to get started in a small Home Smithy, nothing big at all. I moved on to Engineering because I couldn't stand working for my Uncle, the HeadForeman. Never looked back until a got some free time after moving to SoCal and finished the house remodel, now working on the backyard and still find it hard to get time to get my stuff together... OCD, some PTSD, and the A-ADD works their way into my everyday life ! Here is where She is today ! Not a pretty site but it does have some beauty to it ! 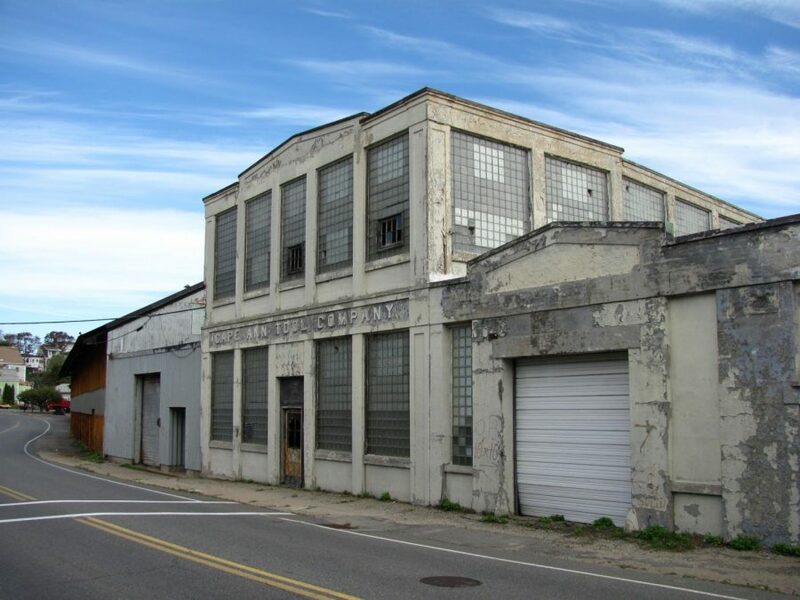 Turns out there are plans in the works to Tear-down the existing building leaving only the Building that stands in the original spot of the Little Blacksmith Shop that started it all. 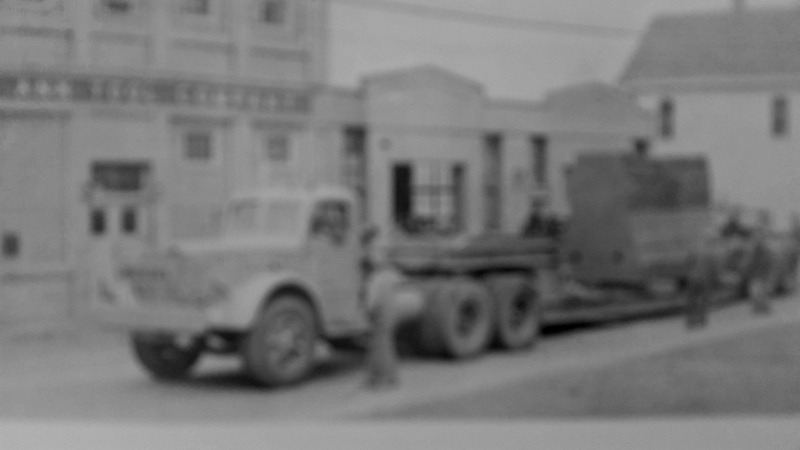 (That's the building with the Trail Truck in front of it) ! Things change, watching the video was eerie, I remember so many of the old timers that I learned a lot from, some nice guys, who taught you the good and the bad methods, some just old PITAs... thinking the younger guys were there to take their jobs. Until I watched that video I didn't think I had any residual feeling for the place but some things don't change ! Here the last pictures I will post. Starting with the decayed building to a representative Drawing of what's to come. The Machine Shop, and the location of the original Smitty. 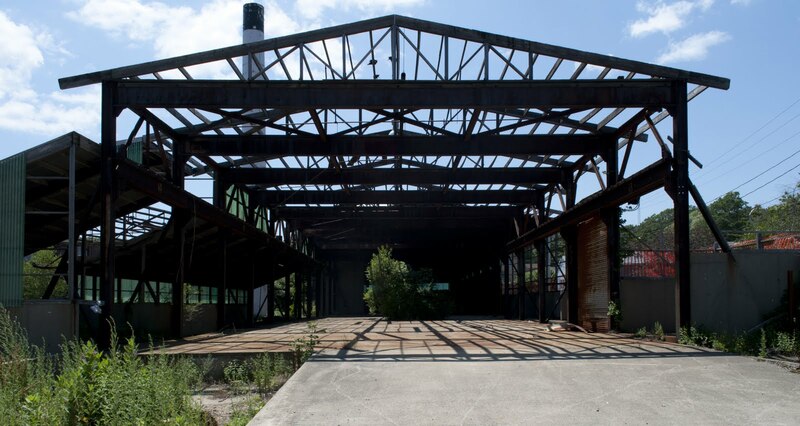 The Steel Yard, where the everyday working metal was stored. 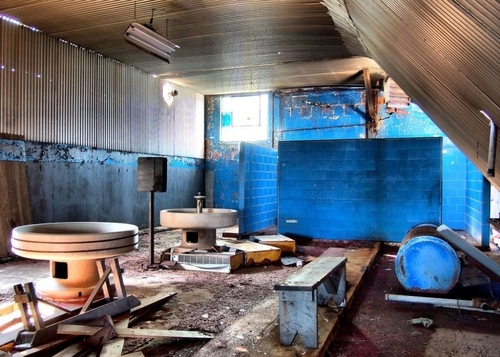 The Wash Room, you got pretty dirty Blacksmithing in a large shop, even the air you breathed was full of dirt. Here is where the Machine Shop/The Original Smithy is today, the first building has been renovated and renting will being shortly. (See first picture in this posting) ! Here is where it is going ! 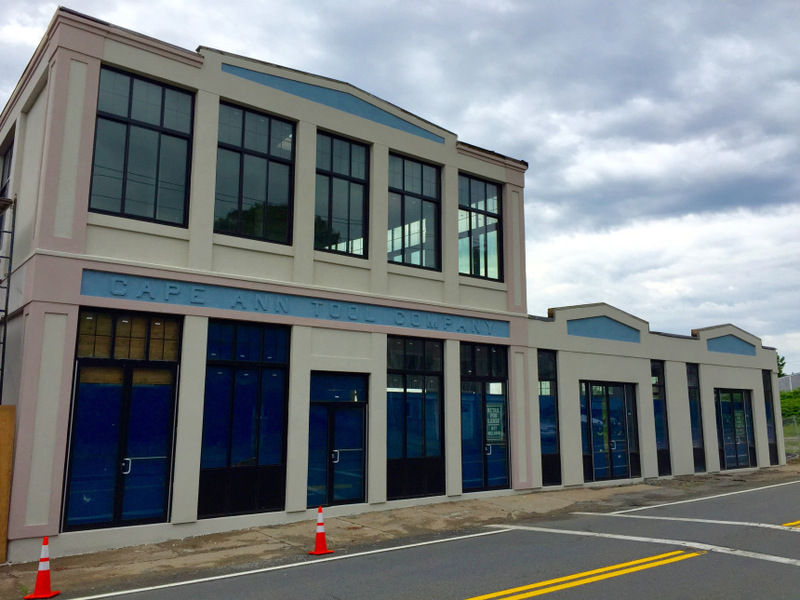 The Machine Shop is to the right, still bearing the "Cape Ann Tool Company" moniker ! From the Machine Shop left... is all new. There is talk of either Condos or single family houses. Glad to see the old Smithy/Machine Shop Location was maintained.